The following steps, will instruct you on how to proceed, when you are faced with a Driver Power State Failure blue screen. These tips will tell you how to solve this issue based on the Windows 10 operating system, but can also provide basic guidelines for PCs running older iterations of Windows. The Driver Power State Failure is a blue screen error, also commonly referred to as “blue screen mode” or “the blue screen of death”, which can sound daunting. Blue screen errors appear when a critical program shuts down without warning, causing Windows to restart. Usually a quick fix, Driver Power State Failure screen is caused by an incompatibility between your operating system and a driver (the programs that allow pieces of hardware to communicate with your computer). You can download DriverAssist to help you with any driver problem. To fix this error, you will need to uninstall any problematic drivers. This will require that you first restart your computer and uninstall the driver in Safe Mode. 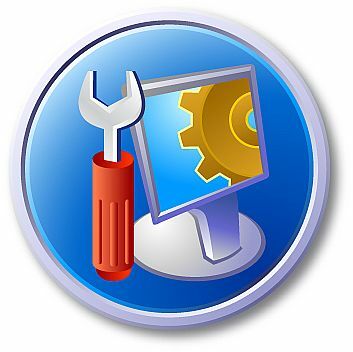 If your driver error prevents your computer from starting Windows, you can enter safe mode from the displayed error screen. When Windows fails to open, you will be prompted with a screen titled “Startup Repair” with an “Advanced options” button in the bottom right. If this screen does not appear, restart your computer again. If it does, click on advanced options, which will take you through to a screen where you can enter the Troubleshoot menu. After clicking “Troubleshoot”, then proceed to “Advanced options”, followed by “Startup Settings”, allowing you to restart. This restart path allows you to select different startup settings. To resolve your driver error, you want to restart and enable safe mode at the same time, which you can do by pressing the number 4 key or F4 when the “Startup Settings” page appears. If your driver error does not prevent your computer from starting Windows press Win+R at the same time to open a Run dialogue window. Type “msconfig” in the dropdown menu that appears and press OK. Under the Boot tab, you will need to select “Safe Boot” under the “Boot Options” and click OK. When prompted, click restart and your computer will enter safe mode. Once in Safe Mode, you need to uninstall the incompatible drivers to prevent future blue screens. This can be done by, again, pressing Win+R at the same time and typing “devmgmt.msc” in the resulting run box. Once you have clicked OK, a list of the drivers you have installed will appear with the problematic driver displaying a yellow sign beside it. Right click on the driver and select “Uninstall” from the dropdown menu. After uninstalling the highlighted drivers, you will need to restart your computer. If you entered safe mode through the second method (running a dialogue box through the home screen), you will need to deselect the Safe Boot checkbox under the boot tab. To prevent future driver errors, you can make sure your drivers for all hardware are kept up to date by installing the latest updates through their manufacturer’s websites.